P.S. 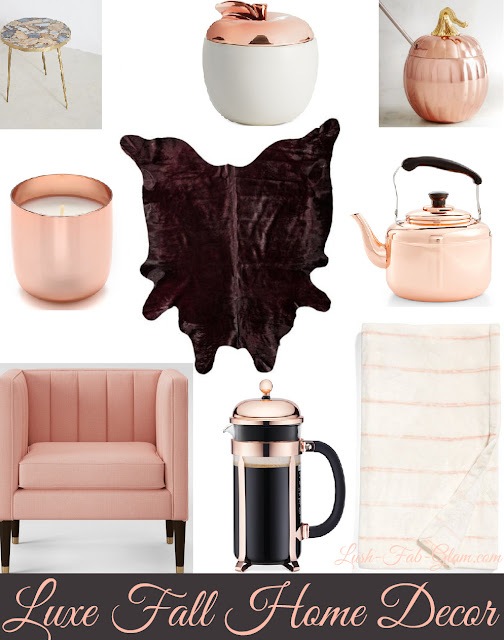 We Love: Luxe Fall Home Decor. We love switching up our decor and doing quick, easy and budget-friendly home makeovers with each season. If you gravitate toward a more minimalist home design theme, the cool fall season is the perfect time to add warm and cozy colors, decor and accessories to your home without sacrificing your minimal tastes. If like us you dread the pumpkin orange and dark brown shades that usually symbolize the changing foliage and instead gravitate to more beautiful, rich colors, then read on to discover luxe home decor pieces and decorating tips that are perfect for fall. Tip 1: Choose Beautiful Fall Colors in deep shades of berry or burgundy and pretty pumpkin shades like white and blush as an alternative to the traditional shades of orange and brown. Tip 2: Incorporate Warm Metallic Decor pieces like copper, brass and gold to add a luxurious and warm touch. Tip 3: Use Rich Fabric Textures like soft velvet, faux fur and cashmere pillows, throws and rugs to create a cozy ambiance. 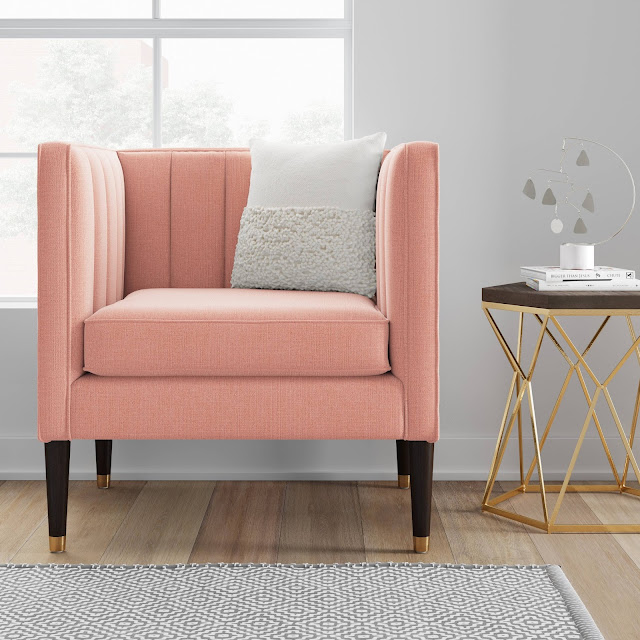 The blush pink chair, white textured pillow and gold base side table shown above is a great example of a luxe and cozy sitting area, where where you can enjoy a warm cup of pumpkin spice coffee and read a good book or catch up on emails. *Fab Tip: Click the arrow on the right to see more of our fall favorite decor pieces and click on the images for product details and to shop. Get more fall decorating tips and fall home decor ideas in the articles featured below. *Disclosure: Lush Fab Glam articles may contain links from our affiliates and we may be compensated if you choose to make a purchase after clicking on our links.